Linnaeus, C. 1753. Species Plantarum, Tomus II: 996. 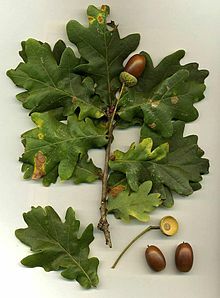 For more multimedia, look at Quercus robur on Wikimedia Commons. This page was last edited on 4 March 2019, at 11:55.